I’m just going to say it: You know good and damn well Bernie Sanders didn’t say all black people are poor and live in ghettos, or that all white people don’t know what it’s like to be poor. Cut that sh!t out. The following podcast was recorded in response to the Flint Michigan debate. I debated whether to post it and initially decided to skip it. But there’s still a very small strain of folk trying to push the ridiculous notion that Sanders “doesn’t know how to talk to black people” as if there’s a specific way we all need to be addressed in order to understand what’s going on. Truth be told, some of yall a$$es — complete with media platforms which reach millions of people — are too damn educated to honestly believe that. But because Sanders isn’t the candidate you’re supporting in the primary, you’ve gone out of your way to keep that as a possible interpretation of what he said. Seriously, cut that sh!t out! You know better than that. 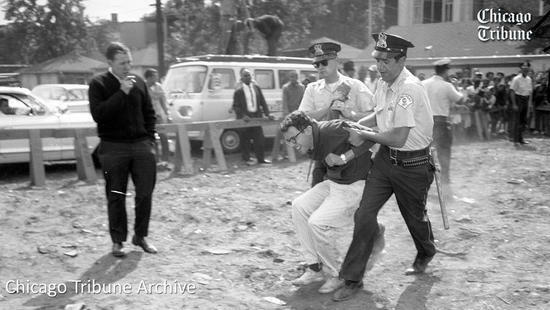 When Sanders was a young person, he was a protester. He participated in sit-ins and was a participant in progressing civil rights. He got arrested for protesting against segregation during that time period as well. He didn’t have political office nor power so he wasn’t doing it to get the “black vote” or to look good for the cameras. In addition, I don’t give a damn if he only got arrested one time in his whole entire life for protesting segregation. That’s one more than his opponent or her husband. That’s one more than many of the people on social media who are quick to open their mouths to criticize Sanders for ONLY getting arrested once. As far as I’m concerned, he could have been doing anything in the world at that time but he chose to become an ally. He could’ve supported anti-civil rights candidate Barry Goldwater’s candidacy (like his opponent), but he chose to be an ally. He didn’t have to give a sh!t one way or the other, but he chose to be an ally. #ICant with some of yall a$$es. If what I Just said doesn’t apply to you, then I’m not talking to you so get out of your feelings and move on.